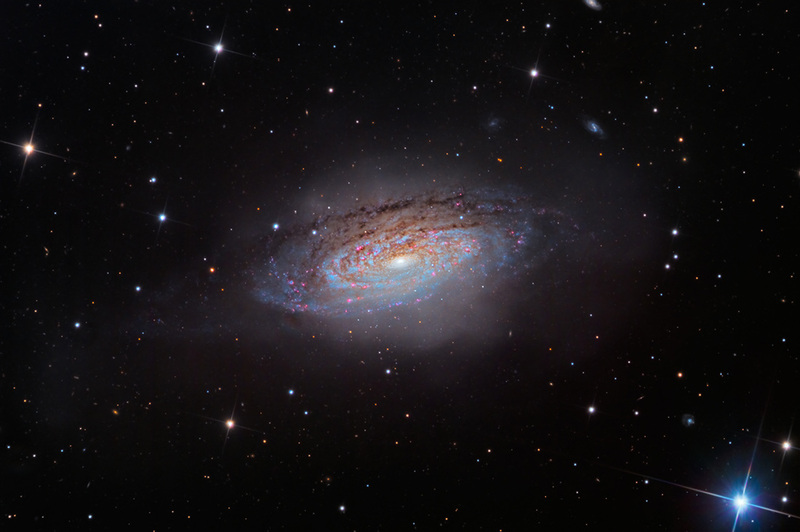 is a flocculent (fluffy) spiral galaxy 30,000,000 light-years distance from Earth. It has a morphological classification of SAB(rs)bc, indicating that it has a trace of a barred structure at its core, a weak inner ring, and moderate to loosely wound arms. Note the subtle, outer shell of tidal debris- streams of stars torn from other galaxies that merged with NGC 3521 in the long past. This data is from the 2014 SSRO archive, with masters assembled by Dr. Steve Mazlin.